Cavity prevention is something that you hear about on TV commercials and at the dentist’s office, and it is something important for you to be committed to and concerned with. You have only one set of permanent teeth that are meant to remain inside your mouth for a lifetime. Cavity prevention is essential for maintaining a healthy and permanent smile – and cavity prevention is solely up to you. Benjamin Franklin once said, “An ounce of prevention is worth a pound of cure,” and it was most certainly correct. Preventing any type of illness or decay within your body is worth the effort. Cavities are formed over time, which means that you have ample opportunity to prevent them from occurring. Even those who are “cavity prone” can help prevent cavities from forming by taking the necessary steps of prevention. Cavities are created by bacteria within the mouth. While these bacteria start off as helpful, they can quickly turn into destructive agents when they are allowed to linger too long inside the mouth. Every mouth has millions of bacteria living inside it to help break down food particles that are left behind after eating. These bacteria are trying to offer good assistance by ridding the mouth of unwanted foods, however, they are only helpful for so long. As the bacteria within the mouth work to break down left behind food particles, they begin producing acids to assist them. It is these acids that damage the teeth, causing cavities and decay. The acids not only eat away at the food particles, but they begin eating away at the tooth enamel. Once a hole has been created in the tooth enamel, a cavity has been formed. By taking the necessary steps each day in proper oral hygiene, you can negate these unwanted effects. Brushing the teeth twice a day and flossing daily are essential components of cavity prevention. These practices help rid the mouth of bacteria-laden, acid-producing plaque that causes damage to the teeth. Combining these daily practices with routine dental cleanings and checkups will help you be successful in cavity prevention. 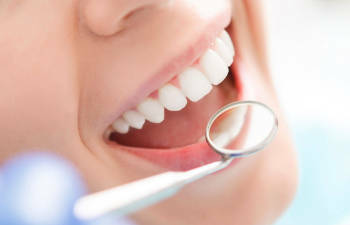 At Allen Dentistry, we want to partner with you in achieving and maintaining a healthy mouth. Contact our practice today to schedule an appointment as part of your cavity prevention plan. We are here to serve you.